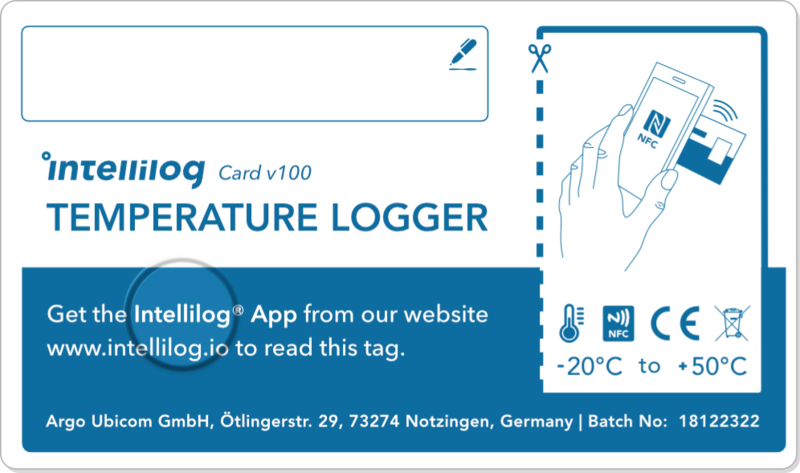 The Intellilog v100 is a temperature data logger in the format of a visiting card. Use it to record the temperature of your product and to gain new insights in to your logistic chain. For detailed information please check the data sheet. To make the Intellilog v100 as price efficient and small as possible, we designed it with only the most necessary electronic components. You will not find a start/stop button, nor a status indicator. Reading out the logger is done using an NFC enabled Android mobile phone. We know that your business is unique. Reach out to us and we will discuss how we can customize our solution to fit you requirements. From custom Software over RFID to Printed Electronics, our experts are here to help you achieve your goals!